EAST VILLAGE — After more than a year of anticipation, soul/Creole eatery Soulé has opened along Chicago Avenue in West Town. "It feels amazing. 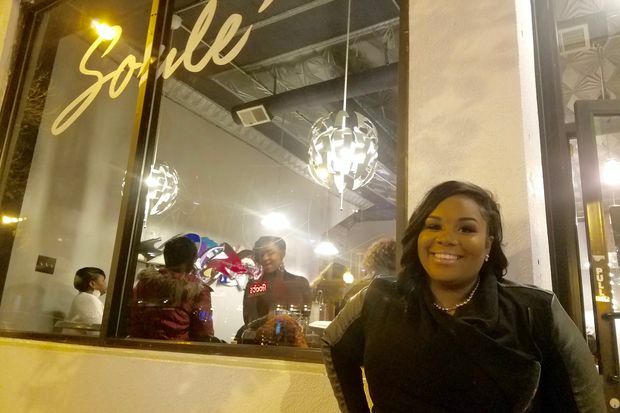 I am truly blessed and the support has been unbelievable," Soulé owner and chef Bridgette Harris said Sunday after a packed soft opening Saturday night for her family and friends. Soulé (pronounced soul-ay) opened to the public at 1931 W. Chicago Ave. at noon Sunday and offers lunch and dinner six days a week. It's closed on Mondays. Harris' menu features hearty Southern entrees like shrimp and grits, fried chicken, New Orleans barbecue shrimp, crab legs and a salmon-and-shrimp combo with whipped mashed potatoes. There are several sides and appetizers to choose from, such as chicken spaghetti, fried green tomatoes, mac and cheese and dirty rice. Desserts include banana pudding cake and peach cobbler. 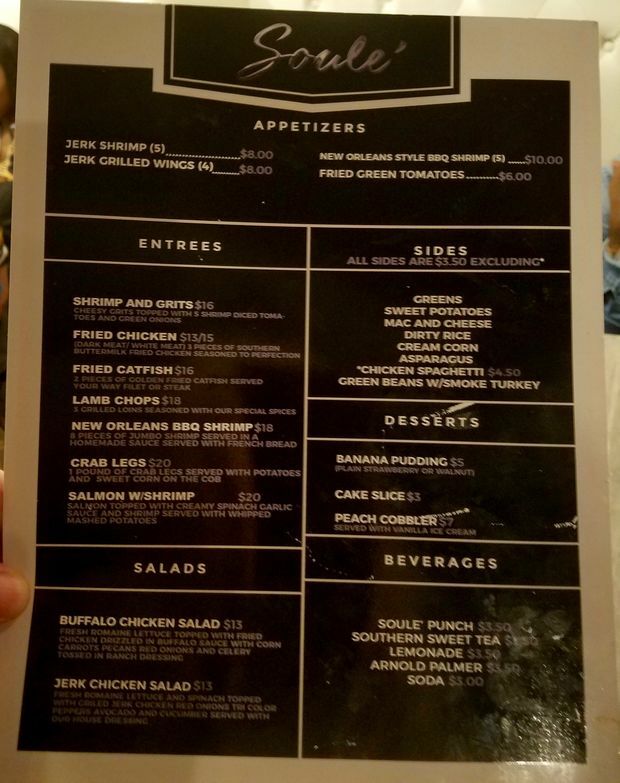 The BYOB restaurant's drink menu includes punch, Southern sweet tea and lemonade for those who want to bring their own liquor to create cocktails. A West Side resident and chef who has operated a private catering business for four years, Harris previously told DNAinfo that she had been looking all over the city for the perfect place to open her restaurant. "I love that the area is up and coming and that there's a lot of foot traffic," Flagg said of the storefront, which was previously home to a vintage clothing shop, and, before that, Vigilante Comics. The restaurant has 33 seats at white leather booths along a wall or at tables overlooking Chicago Avenue. Soulé is open 11 a.m.-9 p.m. Tuesdays-Thursdays, 11 a.m.-10 p.m. Fridays-Sundays and closed Mondays. Phone: 312-526-3825.